It's not a secret that couples are having difficulty conceiving these days. Even younger women, in their twenties, are having some trouble in this area. While diet is a critical party of a healthy reproductive system, it is a lesser known fact that herbs can play a positive role in fertility issues. Sub-optimal fertility can be a common problem for many women and men, often due to low sperm count and egg production, which can reduce the ability to get pregnant. 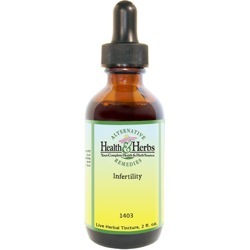 There is a range of herbal extracts, or tinctures, that can help to improve fertility, that has been handed down through the generations. Some of these are now backed by scientific evidence to enhance fertility. Prior to starting any treatment, it is important to detoxify the body of heavy metals and other environmental toxins. This will help to improve overall health and well-being. Extracts from these two small plants have been used for centuries to treat a wide range of health issues. Lobelia has been found to stimulate metabolism and is frequently included in herbal treatments for fertility. False Unicorn lowers estrogen, and tones and strengthens the muscles of the uterus. This herb is believed to help prevent miscarriage when used in combination with Lobelia leaf and is often recommended for those at risk. False Unicorn root is an excellent overall tonic and has been used to help correct many problems of the reproductive organs. It is very high in vitamin C, cobalt, copper, molybdenum, cadmium, sulfur, and traces of zinc. For hundreds of years, this herb has been used for women with recurrent miscarriages related to cervical weakness. It has also been found to help women with uterine prolapse. False Unicorn may also be valuable in aiding women with low, to no cervical mucus, as well as women with amenorrhea, absent menstruation, or when there is stagnation of the uterus or ovaries. Some of the signs can be dark, sluggish, or clotty menstrual blood. This root has been shown to work in the body by interacting with estrogen receptor sites of the hypothalamus. It is also said to increase estrogen, aiding the ovaries in releasing a mature egg at ovulation. The plant also works to support healthy kidneys, genitourinary and prostate health, making it beneficial for both men and women. Lobelia inflata, also known as Indian Tobacco, is a well known traditional herbal remedy for clearing the lungs while helping to relax the nervous system. Historically the herb is considered an "Intelligent herb" because it goes to the areas of the body that most need the affects it gives. Lobelia relaxes muscle spasms, is a diuretic, it increases blood and lymph flow and is calming for the nerves. It contains 14 alkaloids. The main alkaloid is lobeline, one of the strongest biochemicals found in plants. Lobeline relaxes the body and decreases blood pressure. The herb is also believed to help to rid the body of heavy metal poisoning from mercury and lead and seems to help counteract poisons in the body, in general. Ingredients: False Unicorn Root, Lobelia Herb, Structured Water, 20% Alcohol. Non-Alcohol: False Unicorn Root, Lobelia Herb, Structured Water, and Vegetable Glycerin. Instructions: Use 6-30 drops in mouth, juice or water. May be taken 3 times daily. Shake well. Store in cool dark place. Shake well. Store in cool dark place. Keep out of reach of children.